As the school year approaches, it’s an opportunity to be alert to bullying among youths, something that is a significant problem nationwide. About 160,000 children in the U.S. miss school each day as a result of being bullied, according to the Pacer National Center for Bullying Prevention. Bullying is a form of violence that can include physical and verbal aggression, spreading rumors or gossip, and cyber bullying. No matter what the form, for the targeted child, bullying can make them not want to go to school or even go outside. They may also develop other disturbing symptoms, ranging from social withdrawal to issues sleeping, other physical problems, and/or a drop in grades. There’s an imbalance of power. 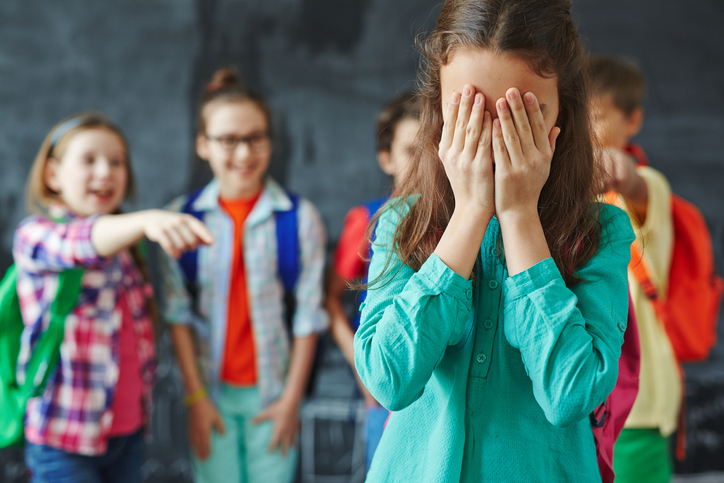 Bullies intend to target children perceived as different from their peers–those who are weaker, less popular, have low self-esteem, dress differently, or annoy others to get attention. There’s a threat of future aggression. Bullies tend to make it clear that their victim will continue to be their target. It often involves a group of students. Other children help the bully pick on other kids. If you have seen or heard about instances of your child engaging in bullying, the Pacer National Center for Bullying Prevention suggests talking with your child to get a better idea of why bullying is happening. Confirm that their behavior is actually bullying and not the manifestation of a disability, and continue to teach your child empathy, compassion and respect—with the clear message that bullying is not OK. Make sure they understand the consequences that will occur if the bullying continues. If you’re a Health Advocate member with access to our EAP+Work/Life Program, consider speaking with a Health Advocate Licensed Professional Counselor who can help you find the right resources to help you and your child handle a bully.